Filed under arduinoraspberrypi on November 27, 2013. I ordered three components while “window shopping” at Amazon. A couple of the components I will use for Arduino and Raspberry Pi projects I have in mind and another I bought just to see how the thing worked. You will find Amazon and manufacturer links (at least the ones I could locate) should you want to purchase and use these components in your own projects. 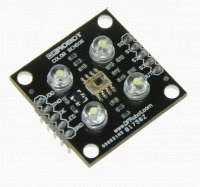 Manufacturer Description: TCS3200 Color Sensor is a complete color detector, including a TAOS TCS3200 RGB sensor chip and 4 white LEDs. The TCS3200 can detect and measure a nearly limitless range of visible colors. Applications include test strip reading, sorting by color, ambient light sensing and calibration, and color matching, to name just a few. 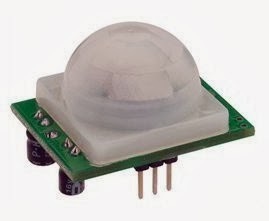 Manufacturer Description: Simple infrared motion sensor. Power the device and wait 1–2 seconds. the sensor will capture a snapshot of the surroundings. If changes within the environment, the ‘alarm’ pin will register low. 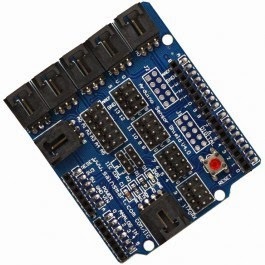 Manufacturer Description: Arduino Sensor Shield V4.0 allows you to connect to various modules like sensors, servos, relays, buttons, potentiometers.just plug & play! Each functional module has buckled port with VCC, GND and Output, which has corresponding port on the Sensor Shield, connected with a plain 2.54mm dual-female cable you may start playing already. Buckled brick cables are like cement for bricks, make the connections easier, secure and more professional looking. Have these components generated some ideas for a project or two? Drop a comment and share. We can do some virtual brainstorming together.